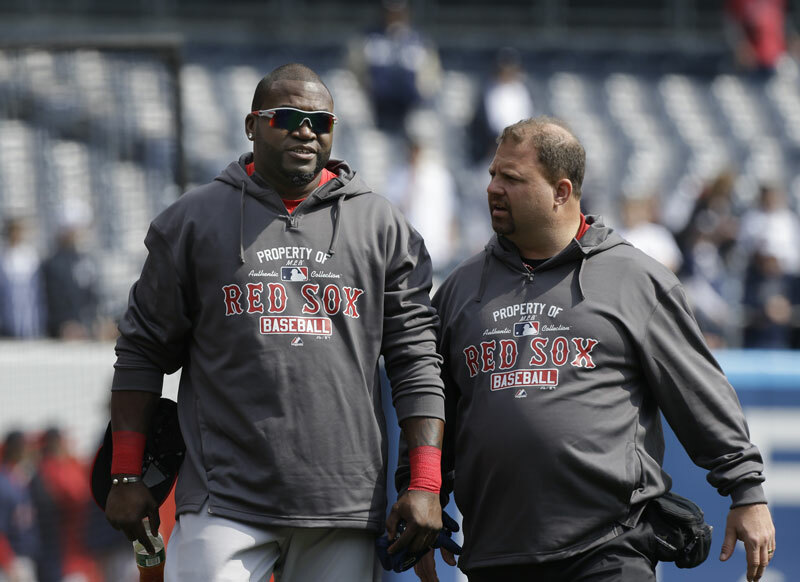 NEW YORK (AP) -- David Ortiz is on a timetable to rejoin the Boston Red Sox in the middle of the third week of April. NEW YORK (AP) — David Ortiz is on a timetable to rejoin the Boston Red Sox in the middle of the third week of April. The designated hitter plans to travel Thursday to the team’s extended spring training in Fort Myers, Fla. He has been sidelined nearly all spring with heel inflammation after missing much of the second half of last season with a right Achilles tendon injury. Ortiz could start an injury rehabilitation assignment next week. Ortiz’s minor league games likely will be with Triple-A Pawtucket. “I think he’d feel comfortable with 25-30 at-bats,” Farrell said. Shortstop Stephen Drew, sidelined since he was hit on the helmet by a pitch during a spring training game on March 7, played four innings and had four at-bats in extended spring training Wednesday. Drew is on the seven-day concussion DL and is to start a rehab assignment Thursday at Double-A Portland, Maine. He can play a maximum of five games while on the concussion DL.